The main objective was to hold eight (8) training workshops on the prevention of electoral conflicts and the spread of the CNDP consensus to the youth ; the women; the youth organizations of political parties and civil society in Niamey; Tillabéry; Dosso; Zinder; Maradi; Tahoua; Agadez and Diffa. 1. 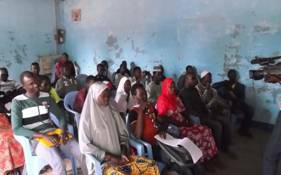 Niamey: From27 to 29 February 2016 a workshop was held on the theme prevention of electoral conflicts organized in the meeting room of RODADDH. This workshop brought together thirty-seven (37) participants among others twenty one (21) boys and sixteen (16) girls from political parties; the youth and the women'sorganizations. 2. Tillabery:From the 5 to 7 March 2016, a training workshop for young people from political parties, associations and other groups of young people was held in Tillabery. 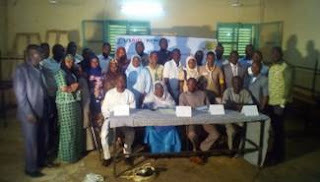 He then urged the forty (40) participants among them eight (8) girls and thirty-two (32) boys to be present during the three (3) days of the workshop. 3. Dosso From 12 to 14 Marchat the House of Youth and Culture (MJC) Garba Loga a workshop brought together forty (40) young people including twelve (12) girls and twenty-eight (28) boys. 4. 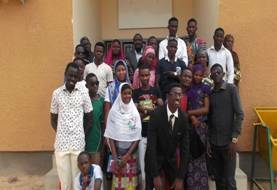 Zinder:This workshop was held from 17 to 19 March 2016. 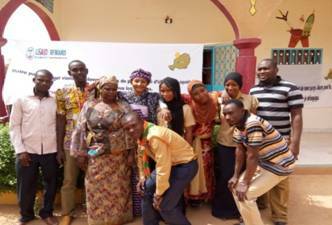 It began at 9:05am in the presence of the participants and the representatives of the youth organizations of Zinder.This workshop brought together thirty-six (36) participants including 6 girls and 30 boys. 5. 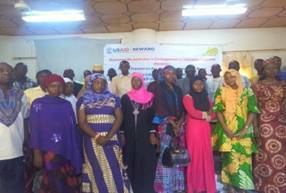 Maradi : Maradi hosted from 26 to 28 March 2016, the workshop on the prevention of electoral conflicts and the vulgarization of the CNDP consensus in the meeting room of the Union of transporters of goods. The workshop started at 10:00 and as that of all the other regions brought together young people (37 among them, eleven (11) girls and 26 boys), composed of therepresentatives of the political parties, students and the representatives of the civil society organizations. 6. 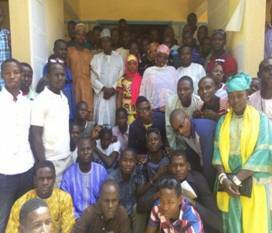 Tahoua: From 28 to 30March 2016 began at Tahoua the activities of the workshop on the vulgarization of the CNDP consensus and the training of young people and women on the prevention of electoral conflicts in Niger. 7. 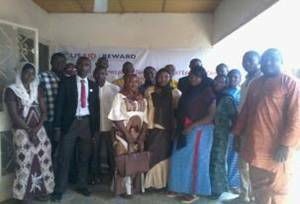 Diffa : From 1 to 3 April 2016, was held in Diffa in the City Hall meeting room a training workshop organized by MOJEDEC on the funding of the USAID / REWARD. It was attended by 36 young people (27 boys and 9 girls). It was noticed the presence of the structures of the surrounding villages among the participating structures despite the security situation. 8. 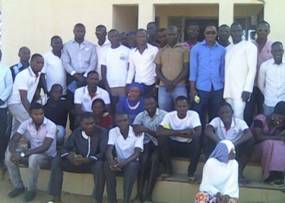 Agadez: From 2 to 4 April 2016 was held a training workshop on the vulgarization of the CNDP consensus and the prevention of post-electoral conflict atthe hall of the socio-cultural center Issiguid Akano of Agadez. This activity was attended by 36 participants (10 girls and 26 boys), representingthe political parties and the civil society.